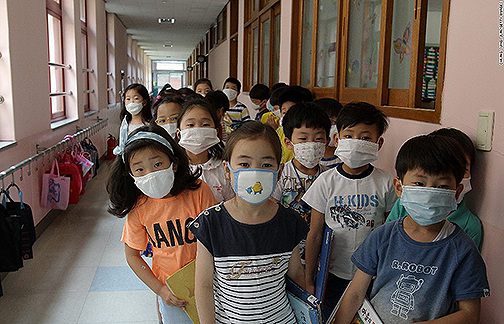 The outbreak of Middle East respiratory syndrome in South Korea is “large and complex” and more cases should be anticipated, experts have warned. World Health Organisation officials made the comments after a review of the Mers outbreak which has now claimed 14 lives. 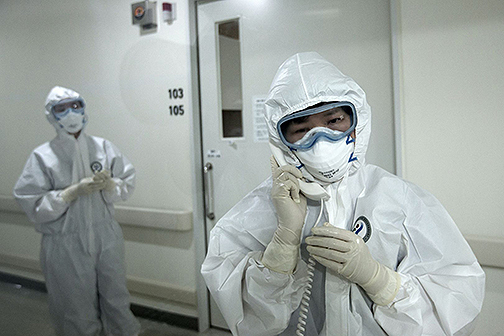 The latest fatality was a 68-year-old woman who contracted the virus at a hospital in Pyeongtaek, 65km (40 miles) south of Seoul, the health ministry said on Saturday. 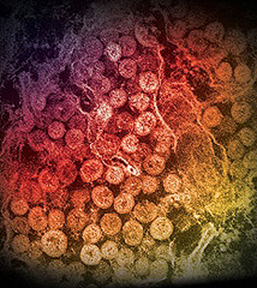 Twelve new infected patients brought to 138 the total number of confirmed cases, in the largest outbreak of Mers outside Saudi Arabia. One of the 12 new cases of the outbreak of included an ambulance driver who moved a 75-year-old infected woman to Samsung Medical Centre in southern Seoul on 7 June, where she died three days later. 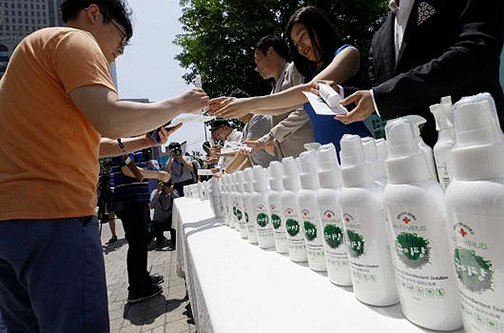 At a news conference in Sejong, south of the capital, Seoul, the WHO’s assistant director general, Keiji Fukuda, said there was also no indication that the MERS virus in South Korea had changed to make it more transmissible. 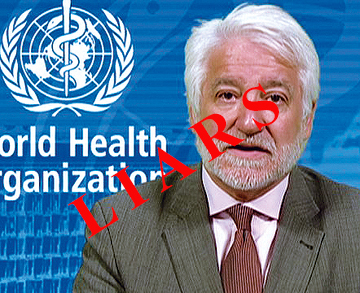 “Because the outbreak has been large and is complex, more cases should be anticipated,” said Fukuda. The 68-year-old businessman who brought Mers back to South Korea visited several health centres for a cough and fever before he was diagnosed, leaving a trail of infection in his wake. DO NOT FLY. 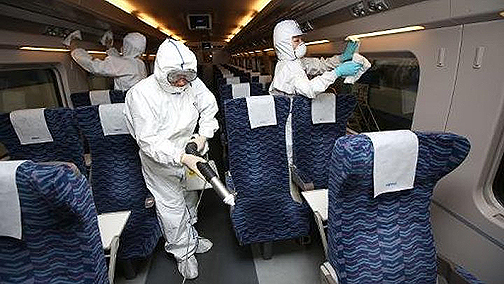 This image says it all: WHY are these airline workers wearing Hazmat suits during routine cabin cleaning operations between flights? Out of 133 people whose contacts have been traced, the largest single group of 60 people have contracted the disease at Samsung Medical Centre, one of the largest hospitals in Seoul. Think you are overreacting? Just ask yourself these simple questions: If MERS is not airborne or possibly airborne, then WHY are MERS hospital patients in negative airflow rooms? WHY are hospital workers wearing BSL-3 level suits? 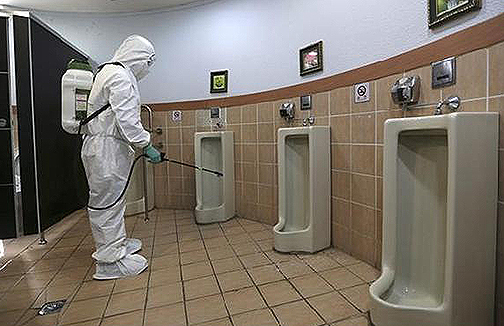 And WHY are public sanitation workers wearing Hazmat suits while disinfecting public areas? Five other cases are being investigated to find out how and where the patients were infected.